The AKG C519ML is a miniature condenser clip-on microphone that's designed to pick up wind instruments, drums, and various pieces of percussion. 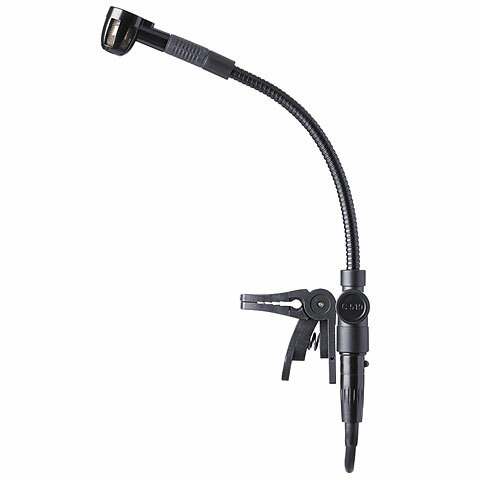 It features a miniature gooseneck that makes it easy to position. What's more, the AKG C519ML is the version that's designed to work with AKG WMS series bodypack transmitters or the B29L battery power supply. If you want a high-quality microphone that makes your wind instruments, drums, and percussion instruments sound incredible, the AKG C519ML is your pick! This item was given an average rating of 5 out of 5 stars. No review about this product has been written yet. 4 ratings exist without a text or these reviews are written in another language. · Show all articles of the brand AKG.